The 2017 Jaguar F-PACE is stocked with technology that helps you stay engaged and in control of your fabulously powerful new performance car. Learn about what the 2017 Jaguar F-PACE can offer from Jaguar Annapolis. The Jaguar InControl Touch and InControl Touch Pro system is a multimedia hub for your connectivity, entertainment, and control over the inside and outside of your 2017 Jaguar F-PACE. The 8-inch touchscreen or 10-inch touchscreen offer access to everything you need to stay connected and informed. In-vehicle navigation guidance keeps you on the right track around Baltimore with real-time GPS information and turn-by-turn directions, while the integrated text-to-voice system lets you use natural voice commands to find destinations, place hands-free calls from your contact book using Bluetooth phone connectivity, and more. Precision climate control makes in-vehicle comfort easy, while the Jaguar InControl apps make it easy to listen to streaming media and more. 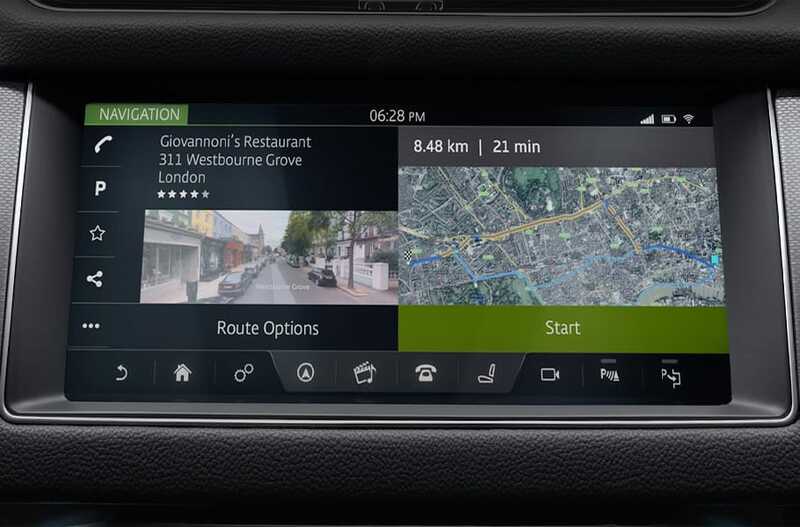 The Jaguar InControl Protect system includes optimized Jaguar Roadside assistance, which automatically sends your vehicle diagnostic data and location to nearby roadside assistance to reduce delays, The SOS emergency call system senses when a collision has occurred, and automatically notifies emergency services near Washington DC or anywhere else for quick and precise assistance. You’ll get crystal clear sound inside your very own mini concert hall with the Jaguar F-PACE’s fabulous speakers. The Meridian 380W Sound System uses 11 speakers placed strategically inside your cabin for premium acoustic range, providing a rich and sumptuous music experience that envelopes you in sonorous sound. Opt for the upgraded Meridian 825W Surround Sound system, and you’ll get even richer sound with premium bass and treble for a complete audio experience with excellent breadth of performance. The Jaguar Heads-Up display makes it easy to keep your hands on the wheel and your eyes on the road. This graphical interface uses laser technology to project crucial information and vital statistics onto the windshield, letting you see what you need to while not impairing your vision or visibility. Because it uses lasers, it’s clear and crisp even in direct sunlight. The Heads-Up display gives you information your vehicle speed, cruise control information, vehicle notifications, navigation information, and even Traffic Sign Recognition Data when you need it. The 2017 Jaguar F-PACE is stocked with technology that keeps you aware and alert no matter where you go in Arnold. The Driver Condition Monitor can detect when you’re tired or fatigued, alerting you that it’s time to take a brake by shaking the steering wheel. Lane Keep Assist monitors your position on the road and applies steering force to keep you on track if you drift without signaling. Park Assist uses sensors around the car to steer you safely into difficult sPACEs. Autonomous emergency braking uses a camera to detect when a collision is imminent, notifying you to slow down and engaging the brakes when needed. The Surround Camera system uses 4 cameras placed around your vehicle to help you see all the way around your Jaguar! Are you ready to invest in the 2017 Jaguar F-PACE? 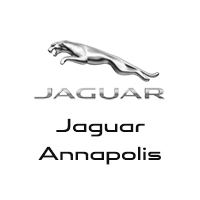 Jaguar Annapolis can make it happen! For a test drive of this thrilling vehicle, call us today at (410) 904-3107 or come see us at 101 Ferguson Road, Annapolis, MD.